How To Be Stylishly Inspired By Flowers Without Resorting To Flower Print. Is it possible to be stylishly inspired by flowers and not be covered in flower print? Totally. My favorite flower hands down is the sunflower. I grew up with them in my backyard, and the color was something that always caught my eye from the kitchen window. So, every summer I buy a bunch for my kitchen. That's what I did on Tuesday, check my Instagram. Then for some funny insane reason I see nothing but the beautiful mustard color everywhere. I'm still living in summer neon, but I'm already dreaming of sunflower yellow this fall. Tops in yellow here, tops in yellow there tops in yellow everywhere. Seriously everywhere! I took a walk through a shopping center the other day, and sunflower yellow was popping up everywhere. I don't know why I didn't notice it before. Maybe retail shops have been checking my Instagram and noticed I loved the color and decided to stock up their shelves for me. A girl can dream. But a top in this color is the perfect way to seamlessly work this color into your everyday style. It will work with the blue and gray jeans you already own. If you're a little more daring, take a cue from Late Afternoon and wear a skirt. Honestly, I don't know if this is something I would do, but I love the way she plays with the color. You would think that yellow should be front and center, meaning only combined with neutral colors, but as you can see it can play along with other standout pastel colors and even prints. Have all the fun with this! This coat look is my jam! I tend to live more on the neutral side of fashion during the fall. A lot of gray, brown, white and black, so a coat in sunflower yellow would be perfect. The fact that I can just throw a coat on my shoulders, and take my look to a whole new level is everything I love about fashion. Don't be surprised if you see something like this piece pop up on my insta. You've been warned! If you're not ready to commit to such big staple pieces in sunflower yellow, I totally understand. If you happen to see a top, a pair of pants, a coat in this color at a retail shop try it on. 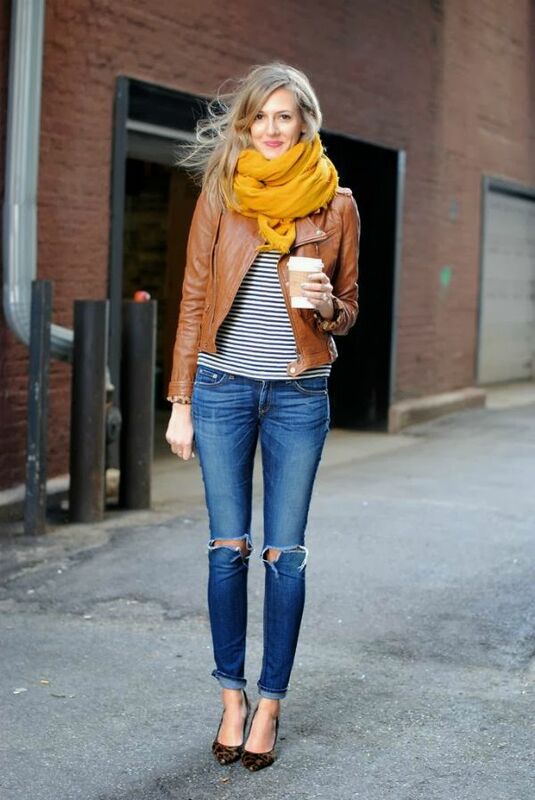 If you're still not sure, going the scarf route is a great way to take baby steps. Just do it! 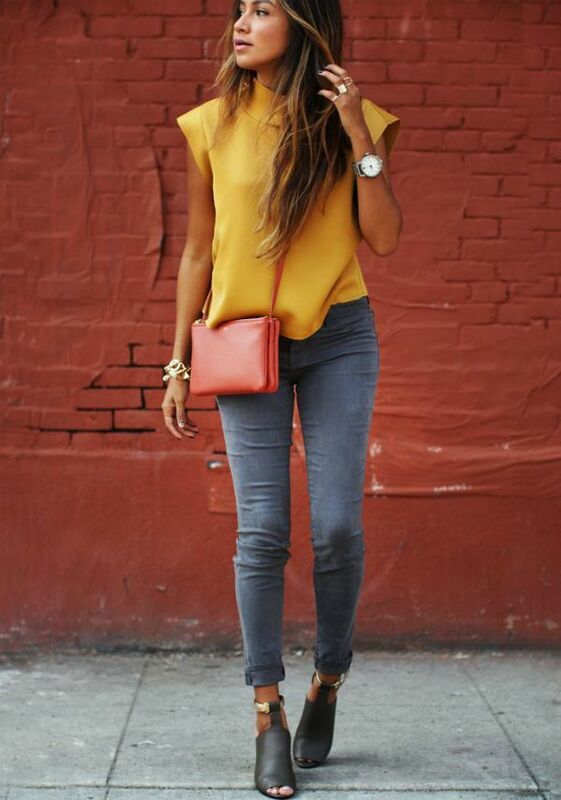 Don't you want to take a little bit of summer sunflower yellow into fall? I know I do!